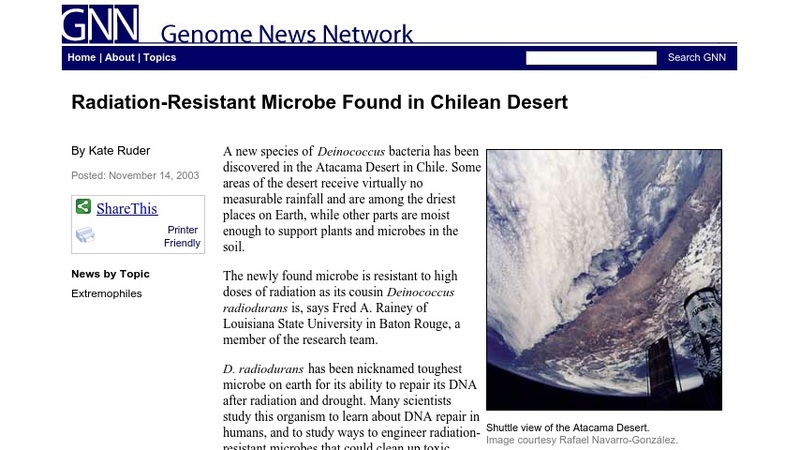 The Genome News Network (GNN) reports a new species of Deinococcus bacteria has been discovered in the Atacama Desert in Chile. This page features an article published on the discovery of a new species of a radiation tolerant microbe. Links to other related articles and news published by the GNN can also be accessed through this page.